These exclusive quality ultra-lightweight Evocrest Carbon Fiber Trekking Poles are designed for all terrain and weather conditions. These Carbon Fiber trekking poles’ amazing shock absorbing quality will help minimize strain on your joints and will make your hiking experience much safer and comfortable. The carbon shafts provide a beautiful combination of lightweight and resistance giving you a bouncy feel. These trekking poles are made of 100% carbon fiber making it extremely light, durable and provides immense resistance. It helps to absorb all vibrations making it perfect for all hiking conditions. Each walking stick remarkably weighs only 7.6 ounces (236 grams). So, together they weigh only 430 grams which is less than a pound. It also comes with a carrying bag with strap and other accessories making your hiking experience delightful. The cork handles are designed to minimize physical effort and make you feel comfortable on the long run. The cork grip stays completely dry and keeps your hand cool which makes it ideal even in rainy and sweaty conditions. The rubber grips are helpful if you are climbing uphill and there is no need to stop and re-adjust the pole height. The retractable shafts of these trekking poles can be adjusted from 24” to 54” in height making it highly versatile for all adults and kids. You can easily adjust the height as per your requirement and lock it safely as a reliable support for experienced or inexperienced hikers, children or anyone who is carrying extra weight. The advanced quick lock system protects the shafts from collapsing abruptly. They can also be adjusted easily to be carried in a backpack. They feature ultra-strong tungsten carbide tip, rubber tip, mud basket, rubber feet and snow basket. So, you can use them in every hiking expedition as they are apt for all conditions. These are extremely sturdy and ensure perfect grip on uneven, soft or snowy surfaces. 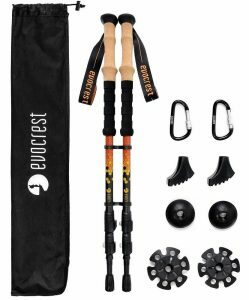 Designed for all hiking conditions and possessing all the features you generally look for while deciding the best choice, Evocrest Carbon Fiber Trekking Poles are the best-in-class. They provide excellent balance making your trekking experience comfortable. The handle strap is extremely flexible and the multiple feet are really handy. The extended non-slip soft EVA foam grip just below the handle has ridges which help in reducing the pressure on your wrists during swift hikes. They are not only designed for people who like taking up the toughest outdoor activities but also for people who use for their street walks. They are absolutely safe and great to be used by both beginners and experienced hikers. 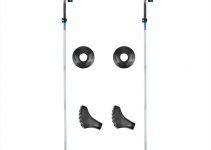 People who have used these trekking poles have come up with predominantly positive feedback. Evocrest has come up with this highest quality gear at an affordable price so that you can enjoy hiking. 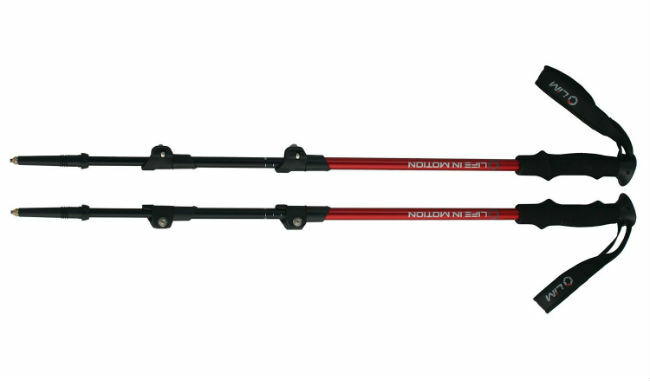 These trekking poles are available online and are one of the best deals on offer. These ultra-light, comfortable and sturdy trekking poles provide a great deal of value for your money you invest. 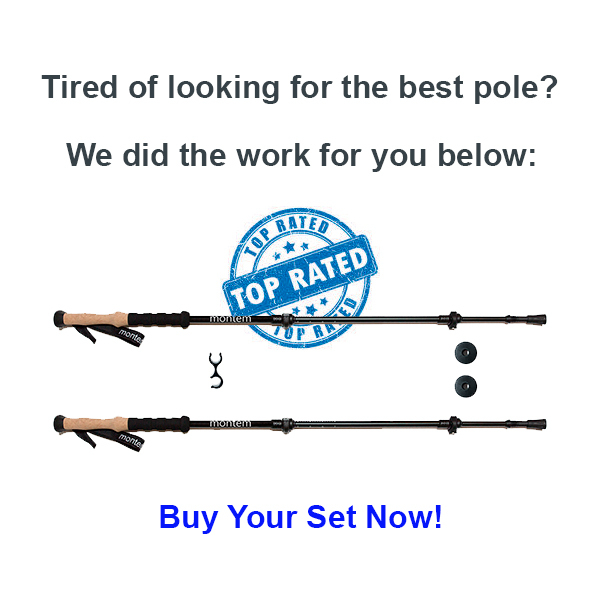 If you are in search for the best trekking poles, your search ends here. 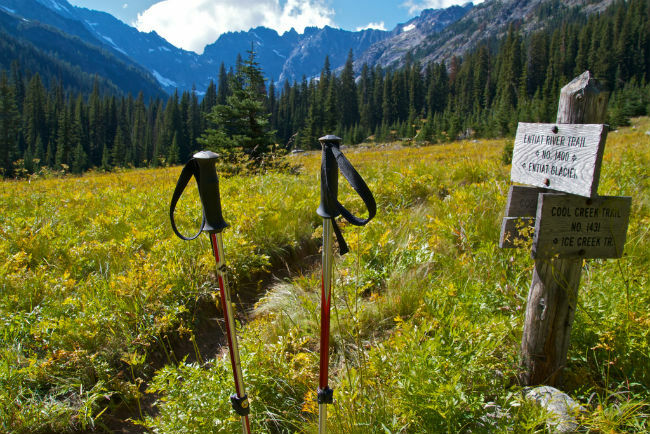 Evocrest Carbon Fiber Trekking Poles are highly recommended. So, quickly order yours because you never know till when the stocks will last.